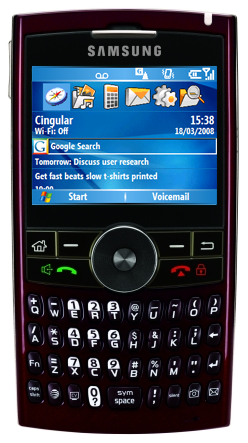 A few weeks ago, we launched a plug-in for Symbian devices that put a Google search shortcut onto the phone’s home screen. This shortcut reduces the time it takes for you to get answers from Google by eliminating the initial search steps (e.g. finding the browser application, opening it, and navigating to Google.com before entering your query). The same plug-in has been available for BlackBerry devices since last December. Today, we’re making this available for Windows Mobile devices too. If you’re a Windows Mobile user, browse to mobile.google.com on your device to download the plug-in and start searching faster than ever. Once you do, we think you’ll find it so much faster and easier that you’ll start conducting more mobile web searches than you ever had before. How do we know this? Well, when we look at the combined usage numbers for BlackBerry and Symbian versions of this plug-in, we see that users are able to get Google search results up to 40 percent faster. And, BlackBerry and Symbian users with the plug-in installed search 20 percent more than those without it. 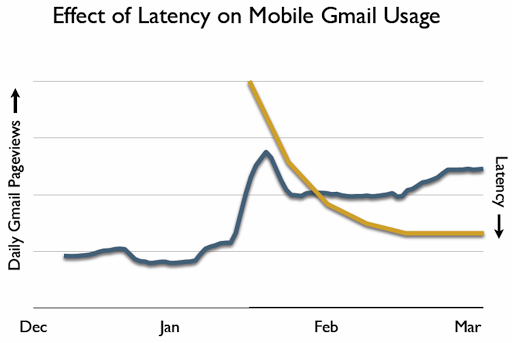 This link between increased usage and a faster user experience — be it search or mobile Gmail — reinforces something we at Google have known for a long time: Fast is better than slow. With mobile applications, we’re seeing that fast is much better than slow. Although this may seem pretty intuitive, it’s always nice to see new data backing this up. Moving forward, we’ll continue to focus on bringing you the fastest and most compelling mobile experiences that we can. So stay tuned! Google is taking steps to speed up the mobile version of its search engine. And while the company’s at it, it’s released a Today Screen plugin for Windows Mobile users. The plugin essentially lets you start a search from your home screen without even bothering to open up your web browser first. Of course, as you can see in our screenshot, Microsoft has been bundling a Windows Live Search plugin with Windows Mobile for a while, but we found that Google returned our search results much faster than Windows Live. Google already has similar plugins for Symbian and BlackBerry devices. You can install the new plugin by navigating to mobile.google.com on a Windows Mobile web browser and clicking the “Search (Download)” link.